Another look at the heat wave over the Arctic Circle and Greenland. This is from today, February 27, 2014. 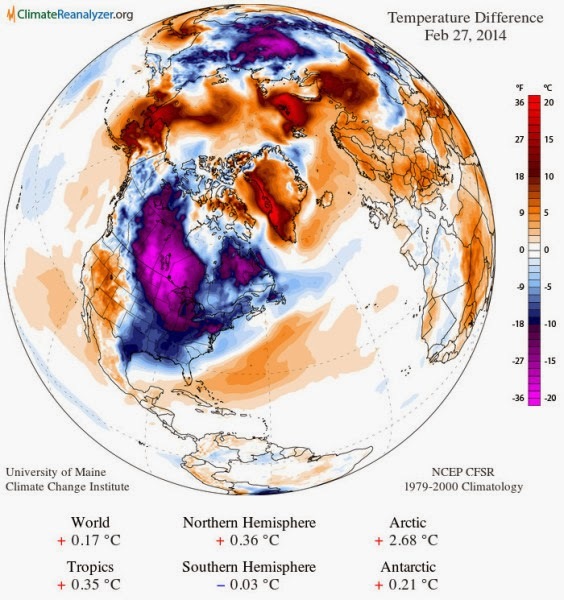 Look at the above average temperatures in The Arctic. 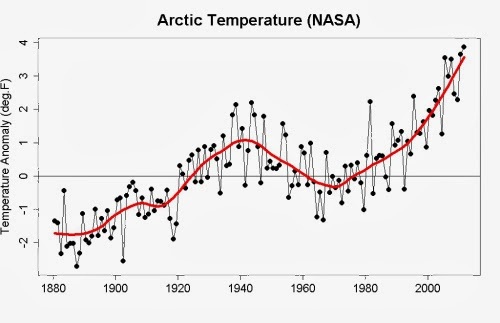 Greenland's temperature was 8 degrees Celsius warmer than normal 1979 to 2000 average. Areas near Alaska showed temperature departures in the range of 15 to 20 degrees Celsius above average. Meanwhile a zone of cold Arctic air has moved south over the US, with temperature differentials setting conditions ripe for extreme weather.